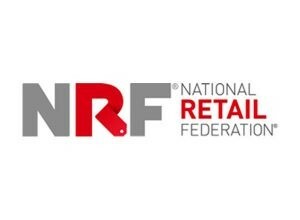 WASHINGTON – The National Retail Federation today urged the House to approve Obamacare repeal-and-replace legislation expected to come up for a vote this week, and said the issue would be counted as a key vote in its annual voting scorecard. The House plans to vote this week on the American Health Care Act, which uses budget reconciliation procedures to repeal key parts of the 2010 Affordable Care Act. That means the legislation can get through the Senate with only 51 votes rather than the 60 that would normally be required to overcome an expected filibuster, but limits the repeal to provisions of the ACA that have a revenue impact. Among other provisions, the legislation would effectively repeal the ACA’s employer mandate that businesses provide health insurance to full-time workers. While budget reconciliation does not allow the mandate to be repealed outright, the bill would reduce the penalties for non-compliance to zero. The legislation would also delay the so-called Cadillac Tax on high-value health plans until 2025, and would repeal its health insurance tax, medical device tax and pharmaceutical tax permanently. It would also increase flexibility for health savings accounts and would take a substantial first step toward Medicaid entitlement reform. NRF opposed passage of the ACA and has sought its repeal ever since while working with Congress to mitigate the impact of its most onerous provisions. Rather than lowering costs, the controversial law emphasized mandates that have driven up health insurance expenses for employers.